On December 16, 2pm, Typhoon Sendong (Washi) landed in the Philippine area of responsibility. Around 2am of December 17, Typhoon Sendong dropped a month’s worth of rainfall — amounting to 142 milimeters (6 inches)– over Northern Mindanao, the Southern most island in the Philippines. It caused flash floods, overflowing rivers and massive landslides. Sendong left 1, 403 dead, 1,089 missing, and an estimated PhP 1- billion damage to property and farmlands. Affected provinces and cities are Cagayan de Oro, Iligan, Bukidnon, Lanao del Norte, Lanao del Sur, Misamis Oriental, Mr. Diwata in Compostela Valley, and Zamboanga del Norte. It should also be noted that though Typhoon Sendong dropped only an average of 5-8inches of rainfall (as compared to Ondoy’s 15-18inches), the death toll under Sendong is almost 3-4 times more than Ondoy. 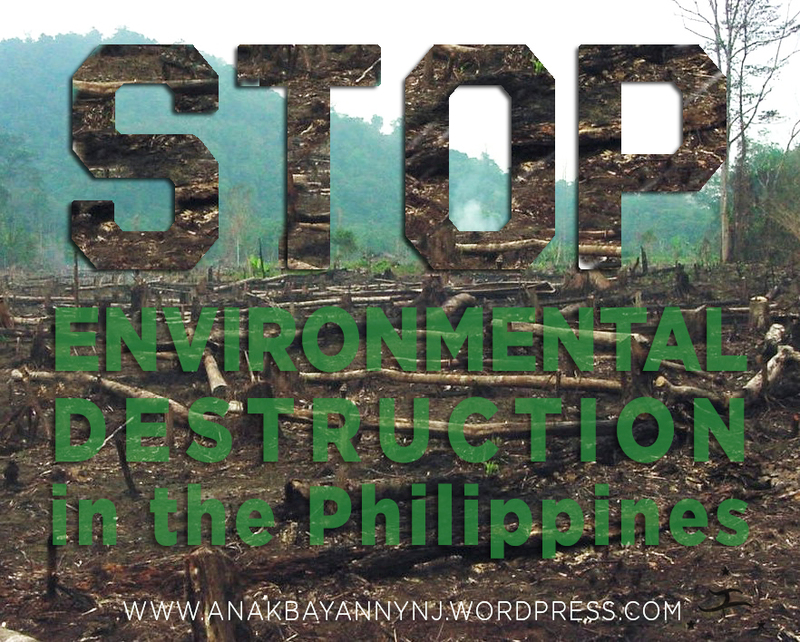 Due to the massive devastation caused by Typhoon Sendong, we have reason to believe that it is a man-made calamity, due to the environmental destruction caused by environmentally destructive practices such as large-scale mining, quarrying, and logging. Also, large mono-crop plantations for export are also causing environmental destruction. Lastly, we also want to call attention to the Aquino government’s culpability due to continuous budget cuts on vital government functions, its defunding of the national calamity fund, which aggravated the lack of preparedness and capability of the local governments to respond to Typhoon Sendong. As Filipinos overseas, we want to register our concern regarding the continuing environmental degradation and seeming government neglect of its basic obligation to protect its people. We must act to put a stop to the environmental degradation of our beautiful Philippines. Fight for environmental justice now! We are aiming to gather signatures. This is to register our concern regarding the deteriorating environmental condition of the Philippines that is causing harm on our people. You can help raise awareness about this issue by conducting discussions, workshops, forums in your school, community or organization. You can contact us and we can help organize the event with you. You can join volunteer with us for this campaign and join us on our monthly meetings, every 1st Friday of the month. Help us build a strong Filipino youth movement that will affect genuine change in our communities and in Philippines.